We busy people often ache for a getaway, a long vacation or a weekend excursion, to clear our minds of all the responsibilities that pull on us. This picture reminds me that I can seek out moments each day to find some peace of mind… even in the midst of a crowded, loud city. 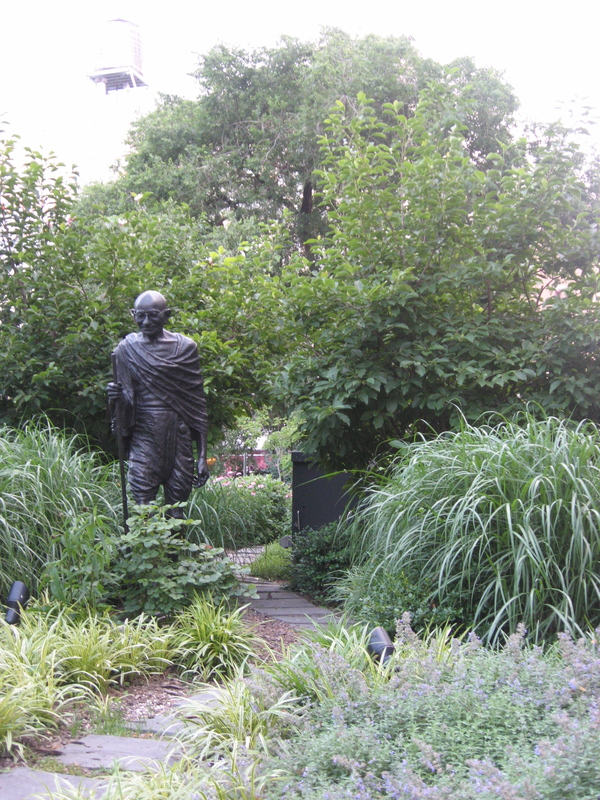 Here is a statue of Mohandas Gandhi in New York City’s Union Square Park with a bustling 14th Street right behind those trees. Where do you find your getaway moments? Leave a comment below.